If sport is tainted by unethical behaviour, its potential for good will also fade. Six people were arrested in the United Kingdom this week on suspicion of match-fixing following an undercover sting operation. It’s not yet clear what games were targeted, but one player named is a former Premier League striker, now playing in a lower division. The fixer is alleged to have come from Singapore, the centre of several recent match-fixing scandals. This is sad, but not surprising news. Football is becoming the favoured target for organised crime because of how many matches are played around the world, the wide variety of people involved and the huge amounts of money wagered. The criminals then need only seek a few people inside the game – most often players and match officials – to manipulate a result. Keeping sport clean must be a global priority. Sport is one of the most important topics for many people on the planet; it is seen as the symbol of fair play and as such provides great opportunities to spread the values of integrity. But if sport is tainted by unethical behaviour, its potential for good will also fade. That is why Transparency International is part of a growing number of organisations and sports bodies which are trying to raise awareness about the dangers of match-fixing by developing and piloting education and prevention programmes. In 2012 the European Commission funded five anti-match-fixing projects. These include Staying on Side, a joint effort between Transparency International, the Association of European Professional Football Leagues (EPFL) and the German Football League (DFL). The aim of this project is to develop and pilot education materials in six European countries: Germany, Greece, Italy, Lithuania, Portugal and the United Kingdom. Our approach is to identify the warning signs that might make people vulnerable and help them resist approaches. For example, players who gamble too much, have debts, or addictions can become targets. What we have learned from 20 years of working in anti-corruption is that you need show people how to avoid being dragged into a situation that could lead to corruption. You need to do this well before it happens, as well as make them aware of the consequences if they don’t resist. If you can raise awareness about the risks of match-fixing, then you have a much better chance of stopping it. 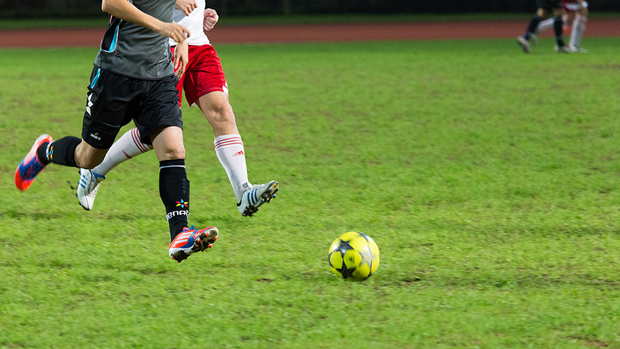 Training needs to be done regularly so each new batch of players and match officials are aware of the issues and there has to be buy-in from clubs and leagues. In addition to the five European Commission-funded projects, FIFA and Interpol are travelling the world with their own anti-match-fixing workshops in an effort to reach as many people as possible. From 2012 to date, they have trained more than 1,200 people in 149 countries. Others, including SportAccord, the body that brings together both Olympic and non-Olympic sports federations, have also developed training materials. These concerted efforts, in conjunction with law enforcement, will help reduce the incidences of match-fixing. But this is only a start to reach the huge global target audience. At last count, FIFA estimated that more than 270 million people around the world play football competitively. Each week thousands of games from women’s amateur tournaments to Champions League fixtures are bet on. According to CK Consulting, US$430 billion was gambled globally last year, 80 per cent passing through illegal operators. The sums mentioned in this recent UK sting operation were just £20,000 (US$32,680) to buy a referee in Europe and £70,000 (US$114,000) for players in the UK, about double the average wage of a League 2 player. With the costs of fixing a match relatively low and the potential gains high, the balance of power appears to be in the favour of the fixers. That is why expanding education and prevention efforts to protect players, officials and all involved in sport are so important. There is a strong case for getting even more people and more resources mobilised to stamp out match-fixing, including ordinary fans and sponsors. According to FIFA, more than 3 billion people – nearly half the people in the world – follow football. Even if only a few matches are found to be fixed out of the thousands played, people will start to lose trust in the game. We need to believe in the uncertainty of outcome every time our teams take to the field, in football and in all sports, to keep us excited and engaged.